After our highly successful collaboration with Early Music Vancouver in the 2017-2018 season, we are happy to work with our friends at EMV to bring you another remarkable artist in a pair of recitals on a period piano. He has been featured in numerous productions for radio and television and recorded over 25 CDs with works by Mozart, Beethoven, Burgmüller, Mendelssohn, Schumann, Chopin, Liszt, Wagner, and Brahms. For his Vancouver appearance, Koch will present two different programmes. The first recital will be a recreation of Chopin’s recital in Edinburgh on October 4, 1848. Just as Chopin did in 1848, Tobias Koch will also be performing on a beautifully- restored Broadwood grand piano in Vancouver. In 2013 Koch made his remarkable debut at the Warsaw festival ‘Chopin and his Europe” with a passionate and sensitive recital composed around Polish music of the 19th century. This Polish Romantic music will be presented by Koch in his second recital where we will hear composers such as Szymanowska, Elsner (Chopin’s teacher), Friedman, Zaluski, Kurpinski, and Mikuli (Chopin’s student) and of course Chopin. 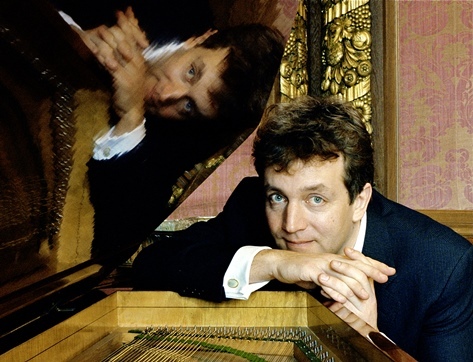 Come and experience the unique sonorities of a period piano, under the hands of one of its most eloquent exponents.